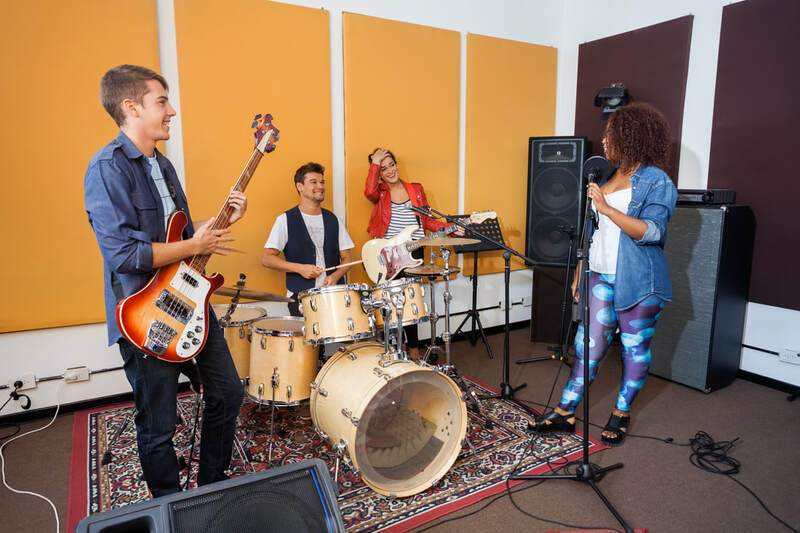 Our experienced instructors teach and mentor through every aspect of being in a band from choosing a killer name to songwriting, learning covers, arranging songs, to performing live at our phenomenal end of session concert. ​Proficiency is not a must but intermediate understanding of your instrument is required. There will be opportunity to play different instruments and even take lead vocal on different songs too! $315 for a 10 week session, one hour practice per week, plus dress rehearsal and live performance. Tix for live show (all ages, open to public) are $5 and band members split 100% tix sales evenly. Call 801.849.0277 to reserve your spot! Guitar / Bass / Drums / Vocals / Keyboard / Trumpet / Anything you want to play! Our current session is FULL. ​The next Session begins April 29 & 30 . Come play in our band!